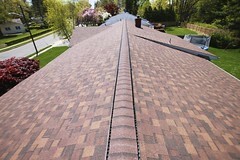 Searching for the right Belmar roofing contractor can be a very daunting task. With so many companies out there, it can be hard to choose which one is going to be the best for your project. Below are some tips for knowing if you’re dealing with a Belmar roofing contractor that can do the job right. Local: Choosing a local Belmar roofing contractor is important because only local contractors will understand the best roofs that can handle the harsh weather conditions. Considering the sometimes heavy snow, humid summers, and tropical storms we experience, having a roof that can keep your building protected is a must. 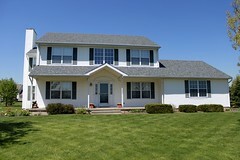 In addition, choosing a local Belmar roofing contractor benefits the local economy. Proper Safety Training: A Belmar roofing contractor that executes continual safety training of employees is a great quality to look for when considering hiring commercial roofing company. Properly Licensed: This is perhaps one of the most important things when choosing your Belmar roofing contractor. Make sure that they have a license. This is proof that the company knows what they are doing and they know codes and laws specific to the project. Good Reviews: Reading reviews about potential Belmar roofing contractors will give you a good idea of their abilities from real customers. Getting an honest answer from actually people who have used a company’s services will help you weed through the good, the bad and the ugly. Knowing the reputation of the company will help you know that your money will go to the right people. 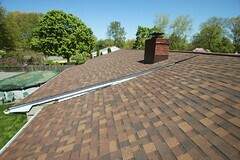 Fair Pricing: It is fair to desire a reasonable price for a roofing project. If the Belmar roofing contractor you’re considering doesn’t have a suspiciously low or unreasonably high quote, then it should be a safe bet. 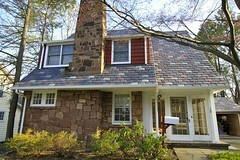 Looking for a Great Belmar Roofing Contractor? Biondo Contracting is a roofing company that offers roof replacement services, roof installation services, roof repairs, siding services, and many other roofing services to much of the Central NJ area. They service towns such as East Brunswick, Livingston, Short Hills, Point Pleasant, South Brunswick, Hillsborough, Bernardsville, Bridgewater, Green Brook, Long Branch, Somerset, Millburn, Bay Head, Springfield, Manalapan, North Brunswick, Belmar and many more. For more information on this expert NJ roofing contractor and it’s services, or for a free roofing estimate, call Biondo Contracting today at (732)257-2926 or visit the website.